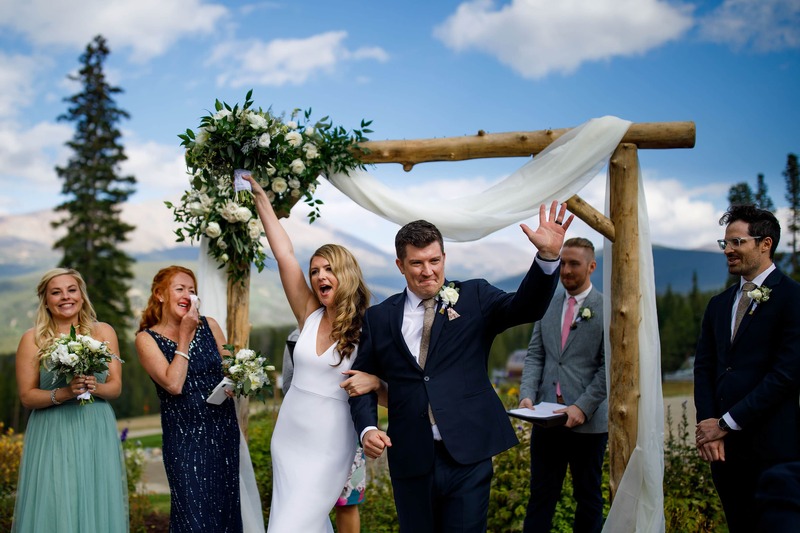 Tenmile Station is a premier Colorado mountain wedding venue in Breckenridge, Colorado that features spectacular views and can accommodate up to 200 guests. This large mid-mountain wedding venue is available late May through September. 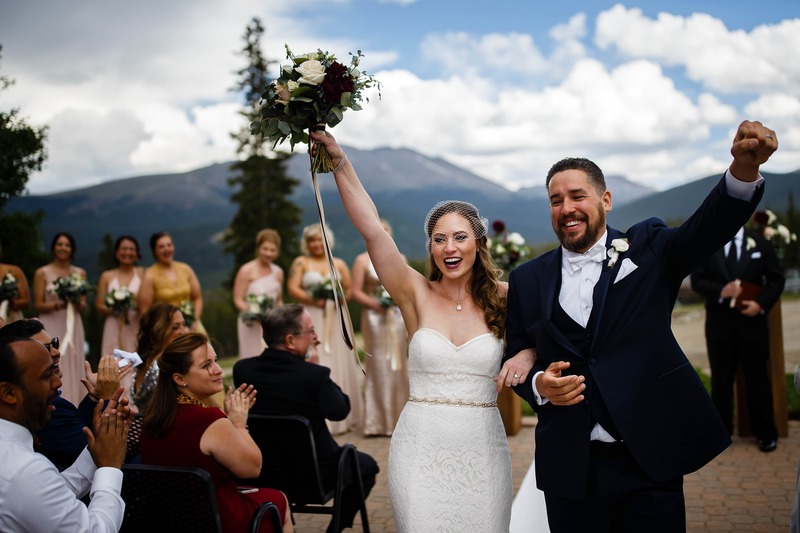 The views are unmatched by any of the other nearby Breckenridge wedding venues. Exposed timber architecture highlights this venue located on Peak 9 near the Falcon chairlift. A stone patio surrounded by gorgeous landscaped flowers serves as the lovely ceremony spot. A peaceful environment, thanks to the surrounding National Forest, further accentuate the overall feel of this setting. Breckenridge Resort handles all food and beverage and with that comes exceptional service. Just minutes from the town of Breckenridge, you can either choose to provide shuttle service or allow guests to drive their own car up the mountain. I've been to all of the Breckenridge wedding venues and this is by far my favorite. The views both inside and out are amazing and light is often spectacular in the meadow behind the venue. Tall ceilings and market lights create an ideal atmosphere for the dance floor. We compliment the feel of the space with our own lighting. Beyond the venue surroundings, we know Breck well and can help guide you to the perfect first look and portrait locations.